The emphasis on frequency of publication. Write in a popular genre. Publish every 3 to 4 months. Preferably every 3 months. I’ve got the first two covered. Romantic Suspense is a popular sub-group of a very popular genre. I’m also writing the Riverton Road Romantic Suspense Series. I was doing all right with number three for a while. 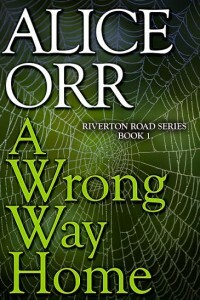 A Wrong Way Home launched in February. A Year of Summer Shadows in June. Four months apart not three but still in the frequency ballpark. That looked okay on the calendar but I knew better. Making book number two’s publication date was a stretch for me. An uncomfortable stretch. To accomplish it I did a truly stupid thing: I rushed the manuscript straight from my editor’s hands into production. I didn’t do the final crucial read-through myself. I’ve been around way longer than enough to know there are edits only the author’s eyes will see. I rushed it anyway. Because I didn’t want to commit the allegedly deadly sin of letting five months pass between published books. Since then I’ve committed other sins that also toll the death knell to my frequency of publication. Specifically I’m guilty of wanting and having a personal life. Complete with family and friends and even some fun. In the 1990’s I set all of those aside to pursue a career as a literary agent. I was all business all the time and the goddess of commerce awarded me well. What I seem to be experiencing now is a case of Been There Done That when it comes to All Work and No Play Make Alice a Successful Woman. Whatever the cause may be – I’m just not feeling the need for speed. I fully understand this flies in the face of my having told hundreds of writers in my workshops that they must be Warriors on Behalf of Their Careers. 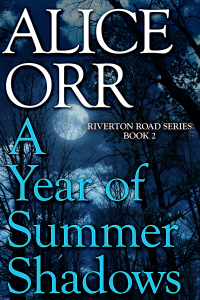 A YEAR OF SUMMER SHADOWS – Riverton Road Romantic Suspense Series Book #2 – is available on Amazon. The ebook version of Book #1, A WRONG WAY HOME, is FREE. These are Alice’s 12th and 13th novel. Number 14 will probably take longer to arrive. Visit Alice at www.aliceorrbooks.com.